Our 1/8" Galvanized Wire Cable is manufactured to the latest US military specifications and are designed for industrial and marine applications. 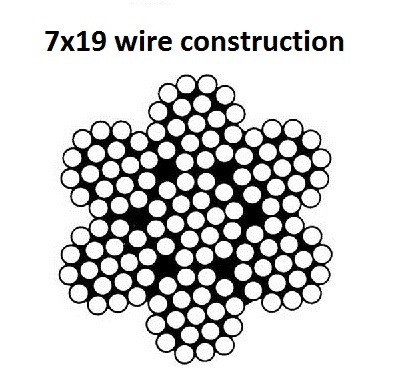 Wire cable has a 7 x 19 construction which is the most flexible and widely used construction which is well suited for a multitude of applications. 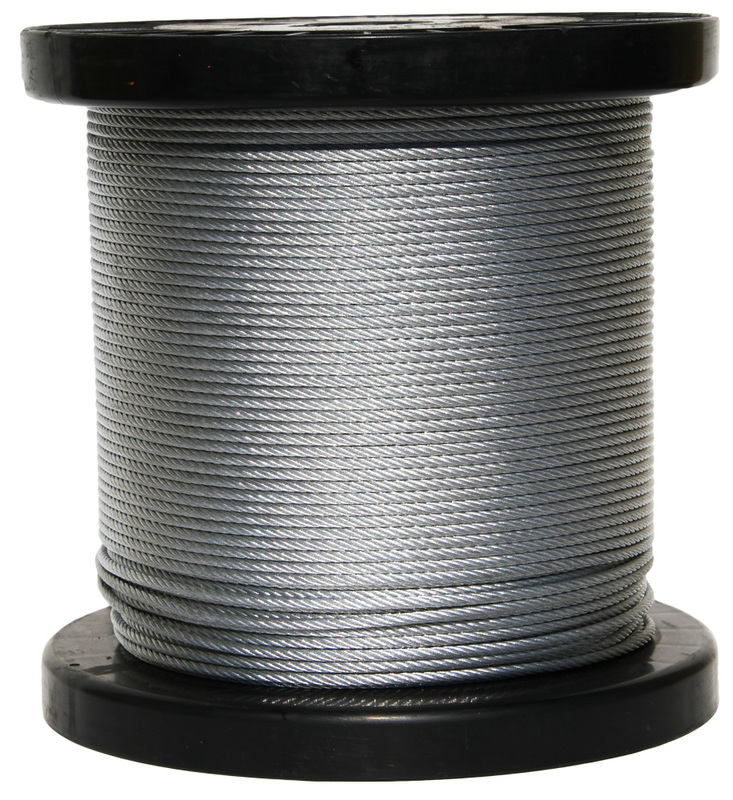 Galvanized wire cables are recommended wherever flexibility, high strength and fatigue resistance are required. Q: Can it be used as a replacement cord for a sunbrella? I believe you mean umbrella. If the cord in the umbrella is a 1/8" metal cable, I see no reason why you could not use it.